What is Oxidation and How Does it Affect our Vision? What is oxidation? I am no scientist, but it's a process we are all familiar with and one sees the effects of oxidation when one sees the rusting of metal, a slice of apple turning brown, or the aging process. 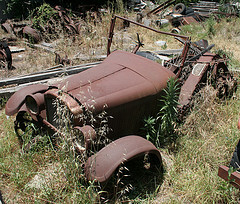 The best definition of "what is oxidation" that I found is from WiseGeek.com. "Oxidation is defined as the interaction between oxygen molecules and all the different substances they may contact, from metal to living tissue. Technically, however, with the discovery of electrons, oxidation came to be more precisely defined as the loss of at least one electron when two or more substances interact." When there is a loss of an electron a free radical is formed. Free radicals are the result of normal chemical reactions in the body called oxidation which then leaves the body with thousands of unbalanced electrons. These unstable electrons can then cause damage to our cells and especially the macula where there is a lot of oxidation. Keeping our free radicals in balance is extremely critical in the prevention of macular degeneration, in fighting disease in general, and in the aging battle. The retina and especially the macula is very susceptible to oxidative stress because it consumes high levels of oxygen. This is where the macular pigment comes in. 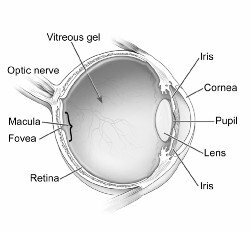 It is a pigment found in the macula that protects the macula from oxidation. "This pigment is thought to protect the retina from damage by light and excess oxidation, which over a lifetime can accumulate and contribute to the process of macular degeneration," says Dr. Max Snodderly, Mdical College of Georgia (MCG) vision scientist and Dr. Nolan's sponsor. 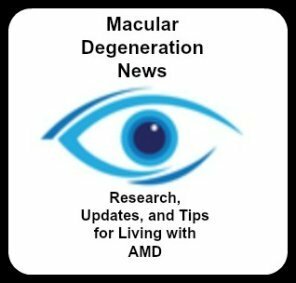 "It may be that once you go beyond 60, which is the age when macular degeneration typically starts developing, the pigment is depleted for several reasons, including increased oxidative stress and a poor diet, both associated with an increase in age." Conversely, if there is a thinning of this pigment, people are more susceptible to the damages of free radicals and blue light. What is oxidation? It is a normal body process that results in free radical formation. cause oxidation and free radicals. also cause free radicals and damage to our cells. This oxidation produces atoms with unpaired electrons which then try to steal from a healthy atom and in turn produces another free radical that causes damage to cell membranes and our DNA leading to many diseases and agingMany people compare oxidation in the body to a rust ing piece of metal. The end result is a damaged structure and decay. So what can we do to fight off the damages of oxidation and free radicals? 2) Increase your intake of antioxidants through eating antioxidant rich foods or with antioxidant health supplements. other diseases of aging. " They are molecules that help combat the harmful effects of free radicals by binding together with oxidant compounds in the body, and neutralizing their destructive properties. Antioxidants also help to repair cell damage caused by oxidants. These antioxidant compounds break down oxidants in the body into harmless substances like water or oxygen particles, which then leave the body without harming it.